With last year’s brutal moving season looming large in the rear view mirror, defense and service officials are taking steps to improve service members’ household goods moves this year. That moving process affects a lot of different areas within the Defense Department, and begins with service personnel officials issuing those permanent change of station orders. This year, service officials are giving military members earlier notice of those PCS orders, which allows them to schedule their moves to their next duty station earlier, said DoD spokeswoman Heather Babb. Marine Corps officials, for example, have issued PCS orders 160 days ahead of report dates. They also adjusted some screening boards and some promotion boards to earlier times, so they could issue those orders earlier. Based on what officials are hearing from the personal property offices, Marines are following advice and coming in early to set up their moves, said Brian Imler, a transportation specialist with Headquarters Marine Corps. “Foot traffic has picked up drastically. Marines are coming in to set up shipments for July and August already," he said. 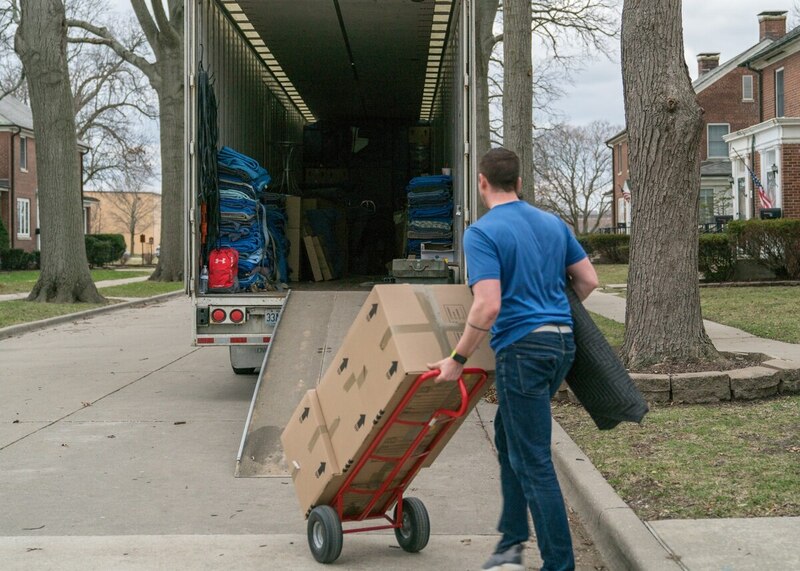 Service members who schedule their moves as soon as possible have a better chance of getting the move date they want, with the best movers available. The peak moving season is from May 15 to Aug. 31, and military moves are competing with those in the civilian population to get on the schedule of busy moving companies. The DoD’s personal property program moves more than 400,000 shipments for service members and civilian employees each year, and about 40 percent of those moves take place during that peak season. There has been an increasing shortage of commercial trucks and drivers to haul shipments, and a shortage of labor to handle the packing and loading. The shortages are getting worse, as workers leave the industry with the improving economy. During last year’s moving season, a number of military families complained about problems such as delays in delivering their household goods, damage to their belongings, and lack of accountability of the moving companies. DoD formed a cross-function team bringing together representatives from the services’ personnel and logistics arenas, to identify gaps and make improvements to the household goods movement process, Babb said. That team is chaired by senior leaders — the undersecretary of defense for personnel and readiness and the undersecretary of defense for acquisition and sustainment. The Marine Corps had also previously formed a team to address issues after last year’s peak season issues. Some efforts are underway to help in the short term for moves this summer, too. The Marine Corps is meeting this requirement, Imler said, by activating 12 reservists, effective April 1. Their main job will be the quality assurance functions at Marine Corps installations. Over the last several years, the services had generally decreased the number of personnel on installations to handle quality assurance issues. Last year, many military families expressed frustration that they could find no one to contact on their installation or within the government when they had problems that they couldn’t resolve with their moving company. DoD is working to increase customer support, and to make improvements to customer satisfaction surveys that service members and their families complete. These surveys currently are the key factor in rating companies and determining which are best qualified to be selected to do future service members’ moves. U.S. Transportation Command’s Move.mil has been revamped to be more user-friendly, to include locator and contact information for local personal property offices. Service members who have questions or issues that their moving companies can’t resolve should then contact their local personal property office. But for those who feel they don’t know who else to contact, the Marine Corps, Navy, Coast Guard and Air Force have set up contacts such as Facebook pages, emails and phone numbers, with information listed on move.mil.